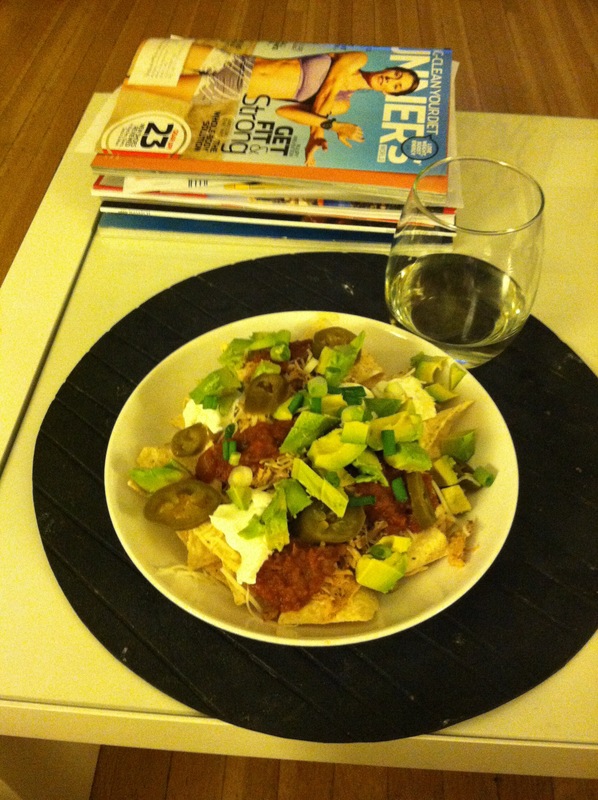 Last night was nacho and wine night. It might become my new regular thing. With extra avocado. Yum. I also made granola for the first time. It was super easy and I used this recipe http://milesforthought.wordpress.com/2013/03/22/pumpkin-granola/. My half marathon training plan calls for a short (every second week at race pace) run the day before long run day. I guess it’s training to run on tired legs. This morning I decided to do a 3 mile run at a faster pace. I like to think of it as the pace I can just about manage for 3 miles. There was a dusting of snow on the ground but not slippy so I went for it. Pain free run! And the fastest I’ve run in a long time. It felt good and I felt strong. Although I was slightly twingy later in the day. Hopefully PT will help it tonight. Refueling with some homemade breakfast. 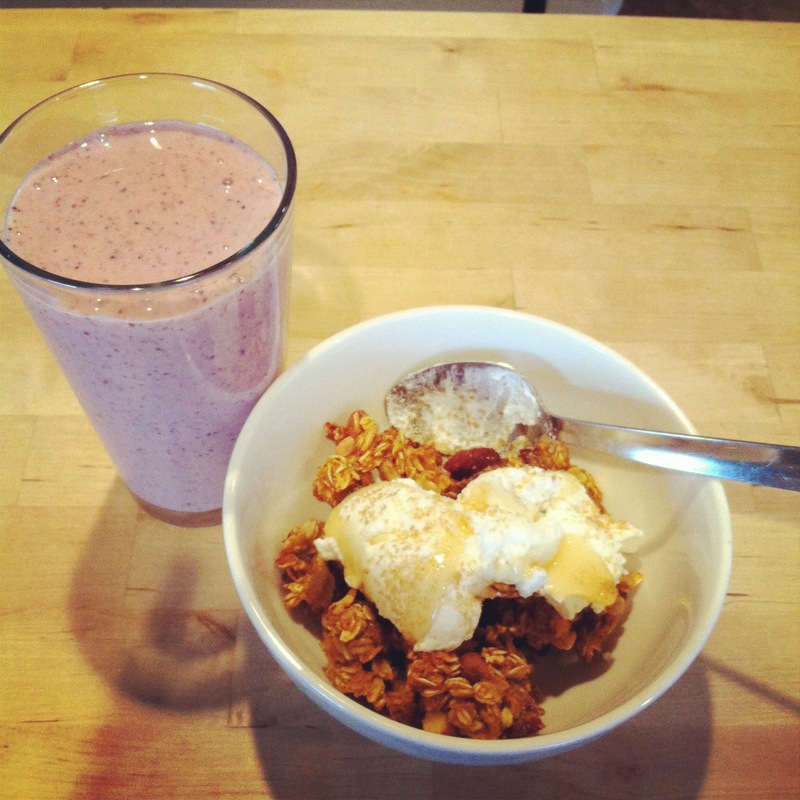 Pumpkin granola and banana-strawberry-blueberry smoothie. I ate my granola with some Greek yoghurt, honey and a little brown sugar. 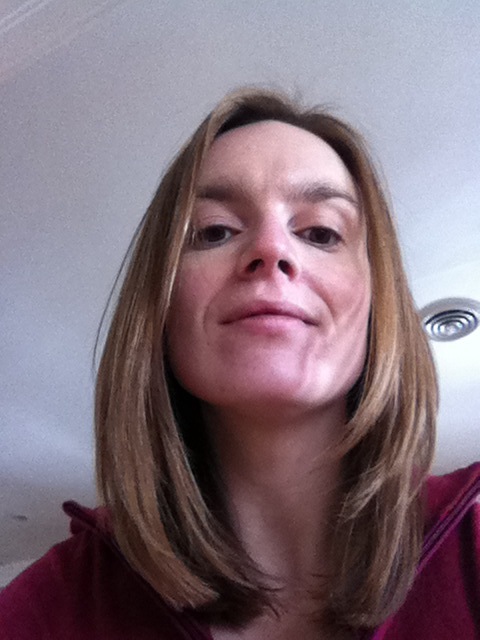 After a short stop at the lab, I treated myself to some salon therapy. I haven’t had my hair colored in years but I decided it was time. A little blonder. And I love this salon. Vibrating massage chairs while you’re getting your hair washed – awesome. Pretty happy with the result too. Finished the afternoon with a yoga class with my favorite yoga teacher. 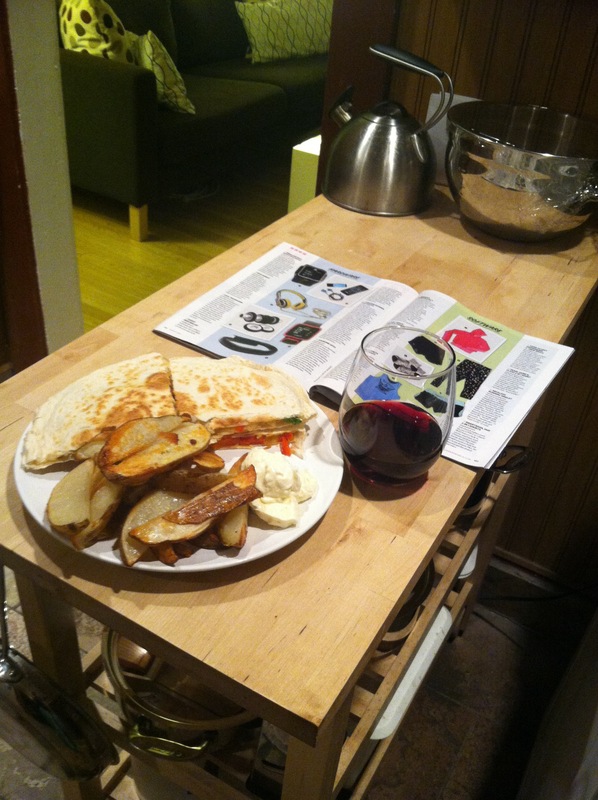 Then more mexican food with wine. I also like mayo with my fries. It’s not weird – it’s European! The big news for today is……………. I’ve signed up for my first ever full marathon. Twin Cities on October 5th. I’ve met a bunch of people in SLC from Minnesota and I’ve been wanting to visit and this seemed like the perfect occasion. Plus, some of our friends are going out to Minneapolis to run the race too. After getting PT for my glutes I’m now feeling confident that I can make it to the start line and then after that who knows. I guess for the first one I should just look to finish in one peace. But I’m excited. Anyone got advice? Tips?